Dora Gyarmati’s Spira Power Yoga classes are full and not just of people, but of wisdom, joy and sometimes, uncomfortable grunting. Dora recognizes that with joy there must be some discomfort as personal growth comes with challenge (please note the business motto is “everything in balance and moderation!”). She offers a studio free from competition, comparison and full of collaboration; she likes to keep things open-minded and real. 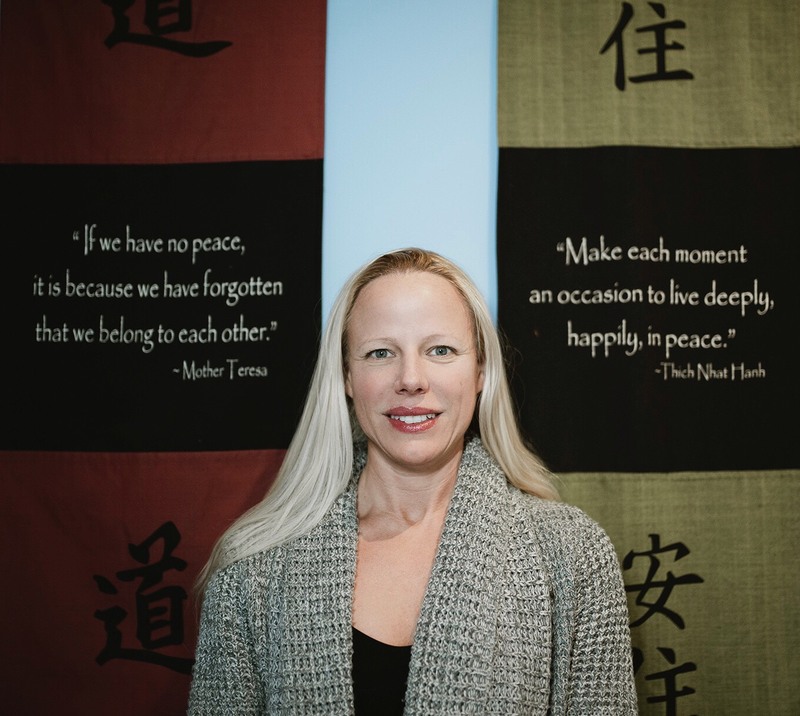 Spira Yoga is an example of the treasure trove of independent business owners who together, make our community a place we can shop, sweat and dine. Yoga is a wonderful anecdote to stiff limbs, foggy minds and frustrating days. Yoga can bring clarity by helping us remove unwanted baggage; the invisible type that we struggle to let go of in our minds. A blend of balancing, resting and reaching is part of the popular and predictably fulfilling Power Yoga classes. Dora has an innate quality of mind expressed through her yoga. Walking into her studio you’ll feel the calm and supportive energy. Leading by example, she encourages students to express kindness towards themselves and others. Dora, lover of learning says her parents engrained in her “to study and study and to get a good education, to be well rounded and always seek to learn. It’s not just a degree; it’s lifelong learning.” Dora said. Originally from Hungary, a place she says celebrates all of life’s ups and downs, It’s not surprising Dora offers intense and reflective classes to help individuals overcome obstacles. “I don’t think of difficulty as a failure. So often we give up without discussion and exploration.”’she said. She asks students to “be honest with your struggles and don’t pretend. For a community to bond you have to work through conflict. The healing comes from sharing,” she said. Her birthplace community is proud of looking out for one another. She is too and she’s close to her mother with whom she inherited her love of learning and well-roundedness. “I talk to my Mom everyday, she has a PhD in Linguistics and Bibliography. “I have decorated my studio with my mother’s creative expression, she learned to paint of Southern California where she now resides.” she said. Her personal mantra? “I’m just real”.